Sukkot/Simchat Torah - Chabad of Placer County, Where every Jew is Family! Community Dinner: 7:00 PM | CLICK HERE TO RSVP! 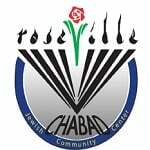 Our High Holiday services will be held at the Shapiro Chabad JCC - 4410 Douglas Blvd. Granite Bay 95746.